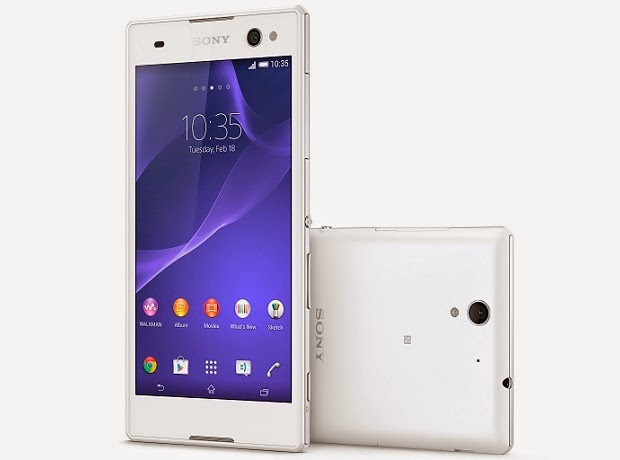 Sony has officially announced a new handset that claims to be the world’s best selfie smartphone, the Xperia C3. The Sony Xperia C3 sports a 5.5-inch HD Triluminos display with 720 x 1280 pixel resolution supported by Bravia Engine 2 and is powered by a quad-core Qualcomm Snapdragon chip clocked at 1.2 GHz, coupled with Adreno 305 GPU and 1 GB of RAM. It also packs an 8 GB internal storage that can boost up to 32 GB via microSD slot. Built with an 8 megapixel auto focus rear camera with LED flash, the Xperia C3 also has a 5 megapixel camera with LED flash on front. Runs on latest Android Kitkat, the smartphone supports LTE (single-SIM), HSPA+WiFi, WiFi Hotspot, Bluetooth 4.0, GPS, and A-GPS connectivity.